James Anderson vs. Dale Steyn, who is better? Wasim Akram has been talking and talking a load of crap at that. On the back of the match winning 10-wicket-haul by James Anderson in the first test and followed up by a further 3 wickets in the second test, Akram has been praising Anderson as the best bowler of this era and better than Dale Steyn. And while my patriotic side kicks in and I want to serve Wasim a nice case of shut up, my blogger side kicks in and says, fine lets investigate. There is no competition, Dale Steyn is ahead in nearly every aspect of the game. Dale has taken 332 wickets in 65 tests, while Anderson has taken 322 in 20 more tests. Dale has taken 5 wickets 21 times, Anderson has done so 15 times. And when it comes to the magic 10 wicket haul, Anderson has done it twice, while Steyn has done it 5 times. Even in averages, Steyn has a healthy lead over Anderson. More telling for me is that Dale Steyn has been world number 1 test bowler for a long time now, while Anderson has never touched that lofty height! Now I know some people say stats don’t tell the whole story, but what about some other factors? “Steyn is a bowler that everyone looks up to. When you see someone like him at the top of his game, it makes you want to improve and try to compete with him. What I try to do is improve as much as I can so I can be the best bowler I possibly can. If that puts me up there with him then, great, but at the moment I see him as comfortably the best in the world.” Anderson gave his thoughts on Dale Steyn when David Saker, English bowling coach, said in March this year that he was better than Steyn. There are no quotes I could find in which Steyn called Anderson the best. In the only category that Anderson could really give Steyn a challenge, skill is something that will still be argued. You see in Steyn and Anderson, you have two bowlers capable of swinging the ball both ways. 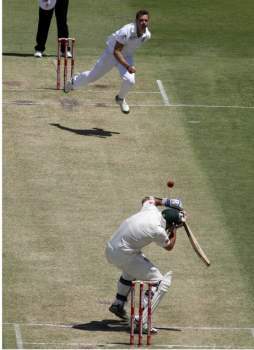 There are very few bowlers in history that have been able to do this, but both the pace men can. Does that make Anderson better, no, it just makes him incredibly good. 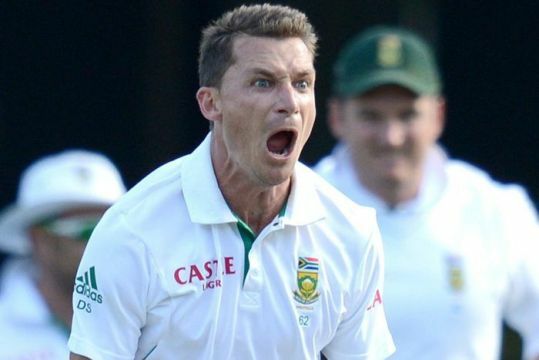 There are few things in test cricket as intimidating as an on-fire Dale Steyn. His bouncer followed by glare are up there with the best viewing you will ever see in cricket. His swag and ability to get under the skin of opposing batsmen have added the entertainment to test cricket that at times is lacking. Anderson on the other hand, is a nice guy that supports Arsenal. The English will debate this for many years, they may claim a victory here or there, but let’s be real Mr. Akram, there is no way that Jimmy Anderson is better than our boytjie Dale Steyn!